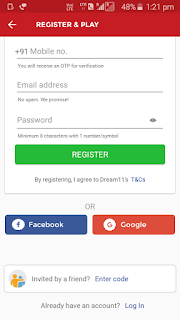 Are you interested in sports then u can earn real money by dream 11. 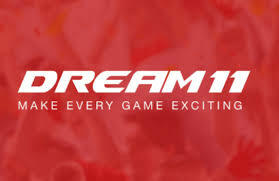 Dream11 is India's no.1 fantasy sports platfrom with an exponentially growing user base of over 1 crore+ indians playing fantasy cricket,football and kabaddi. You can choose your team in a contest (Choose Team 1 or Team 2 to compete) from the 'Joined contests' tab until the deadline. You will score points depending on how the players in your team perform in the live match. So, make sure you pick a winning combination to help you win! Verify your phone number by OTP code. Also verify your bank account details and PAN card details.